Having recently picked up a Wii U (finally! ), I indulged in a little spending spree, which consisted of Rayman Legends, Wonderful 101, New Super Mario Bros. U and Wind Waker HD. And the first game I decided to play (well, after Nintendo Land, of course) was… New Super Luigi U. And why not? It IS the Year of Luigi after all. Having not played the Mario flavor of this game (outside of the kiosk at Gamestop), it was an interesting experience to play the expansion pack before playing the actual game. 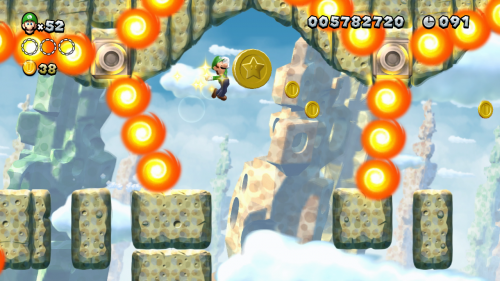 Luigi’s jump is more skittish, yet farther reaching than Mario’s, and the level design reflects that. Once you clear the game, you can revert the jump physics back to Mario’s standard, which could actually make the game more challenging. The levels are short, but you are given a mere 100 seconds in each, which means less of a focus on exploration and more on just surviving to the end of the stage. Until I reached the last two worlds of the game, Peach’s Castle and Superstar Road. 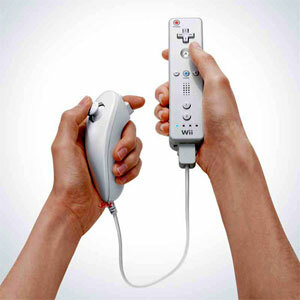 That’s when the controller tossing and swearing began, as poor Luigi met his end more times than I care to admit, and I found myself finally resorting to a P-Acorn late in the game, lest I embed my Wiimote in the wall. Superstar Road in particular proves just how much the staff of the game has a sadistic glee of making us suffer… just mention “Fire Bar Sprint” to anyone who has 100 percented this game and watch them break out into a cold sweat. 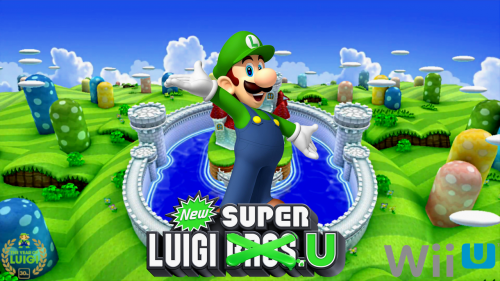 As an expansion pack to the original game, New Super Luigi U is worthy of carrying the name “Luigi”. Though the story and world map are the same, the new levels are packed with creative ideas and a high level of difficulty, as if someone at Nintendo heard the taunts that the New Super Mario Bros games were too easy and took the challenge to make the players sweat. Well, Mr. Nintendo Programmer, mission accomplished. You are currently browsing the archives for the Wii U category.